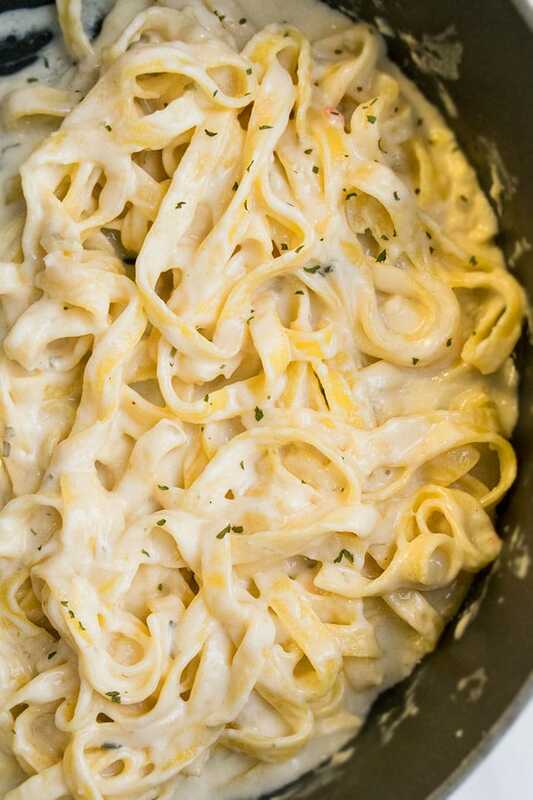 Quick and easy fettuccine alfredo recipe, made in one pot, with simple ingredients on stovetop. This 30 minute meal is rich, creamy and loaded with parmesan cheese. I can eat this fettuccine alfredo every day! 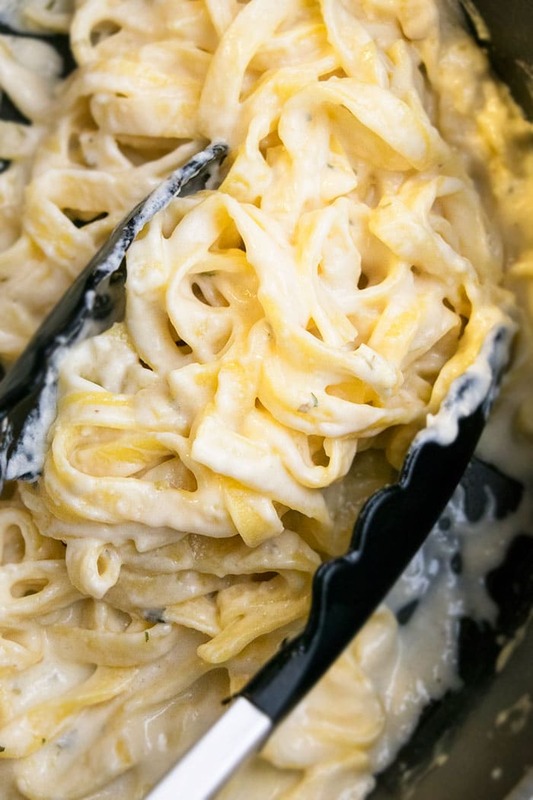 If you love cheese and pasta as much as I do, you really must try this along with this One Pot Creamy Spinach Pasta and this One Pot Garlic Chicken Pasta or even this Crockpot Chicken Alfredo. 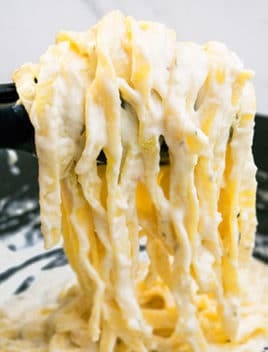 How to make fettuccine alfredo? 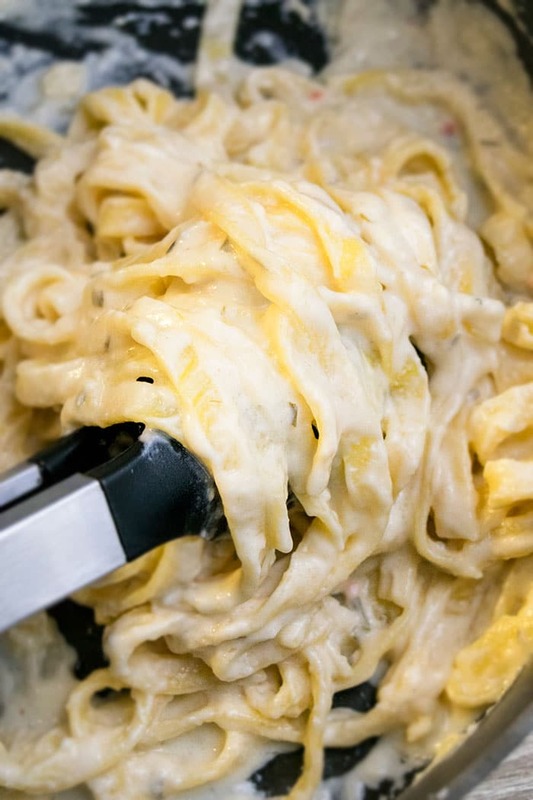 How do you make alfredo sauce with fettuccine alfredo? This can be done in my one pot version where the sauce and fettuccine pasta all cooks together. Bring milk, broth, salt, pepper to a simmer in a nonstick pot. Add pasta and cook until pasta is almost done. Add heavy cream, parmesan cheese. Mix and cook until sauce thickens to your desired consistency. How do I make alfredo sauce/Fettuccine alfredo sauce recipe? Heat 1 tbsp oil in a nonstick saucepan. Add a clove of garlic and saute until golden brown. Add milk and heavy cream and bring to a simmer. Add parmesan cheese and mix until liquid is reduced and sauce is thickened and you are done. What is an alfredo sauce? It’s a rich and creamy white pasta sauce made with butter, heavy cream and parmesan cheese and usually served with fettuccine pasta but also a popular choice in lasagnas. Mix in 1 cup cooked chicken (cut into cubes) into this pasta at the very end. Use rotisserie chicken to make your life easier. Mix in 1 cup cooked shrimp into this pasta at the very end. Mix in 1 cup frozen broccoli florets in the last 4 minutes of cooking. Don’t add them in the beginning or else they will become very soft and soggy. 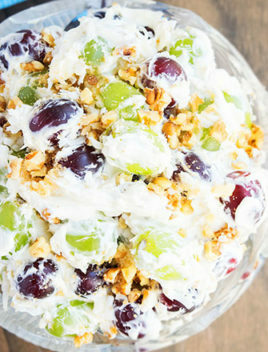 Add 1/3 cup cream cheese to make this sauce even more creamy. 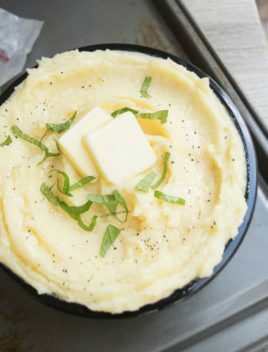 You can even use flavored garlic cream cheese or onion and chives cream cheese to add more flavor to this meal. 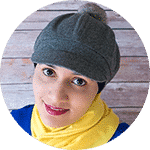 You can use vegan or low fat cheese and vegan milk (soy, coconut, almond) and even gluten-free pasta. Add everything in a casserole dish and top it off with Italian breadcrumbs and more cheese and broil on high for a few minutes until top is golden brown and crispy. Enjoy. 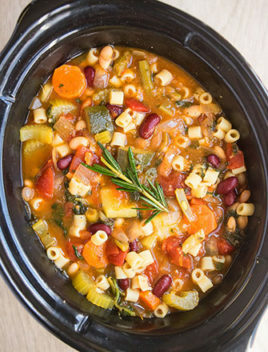 Use a nonstick pot to prevent pasta from sticking and burning. For maximum creaminess, use full fat milk and full fat cheeses. Some people prefer half and half over heavy cream. It’s a personal choice. Water can be used instead of broth but broth truly adds a lot of flavor and I high recommend it. 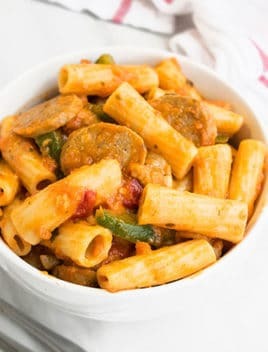 If the pasta is too thin and “watery,” cook without lid for a bit longer over medium heat to reduce the liquid until desired thickness is achieved. If the pasta is too thick, add some milk and mix it over medium heat make it smooth again. 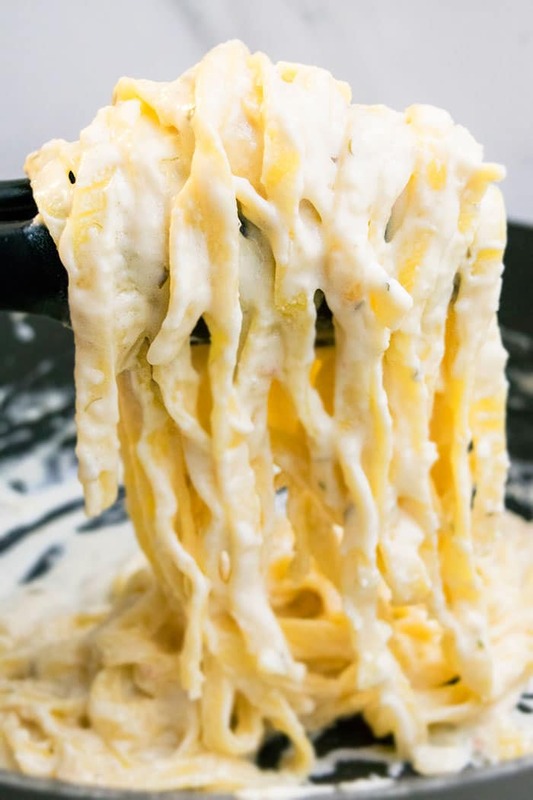 The alfredo sauce gets absorbed into the pasta and becomes thicker, as it cools. That’s why I think it tastes best when served fresh. Add 1-2 tsp Italian seasoning to add more flavor to this meal. Keep in mind that the classic version does not include this ingredient but I think it works very well. Use a combination of various shredded cheese to add a different flavor to this pasta. In a large nonstick pot, add milk, broth, garlic, salt, pepper, Italian seasoning and bring to a simmer over medium high heat. Add uncooked fettuccine and mix everything together. Let it cook over (without lid) over medium heat until pasta is almost cooked (usually 9 minutes). Be sure to mix pasta every few minutes to prevent sticking. Add heavy cream and parmesan cheese and mix and cook until sauce is reduced and becomes thick. If the pasta is still not fully cooked, add some more milk and let it cook for a few more minutes. If the sauce becomes too thick, add a little milk to to make it smooth again. Garnish with parsley and more freshly grated parmesan cheese and enjoy. Tastes best when served fresh but leftovers can be stored in a sealed container in the fridge and reheated in the microwave for up to 2 days.